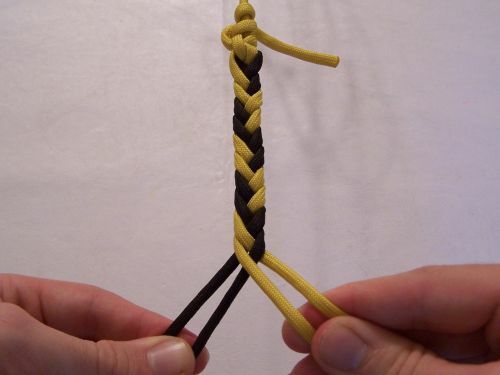 This braid is very similar to the common 3-strand braid, and is easy to make. It does not tend to develop a twist like the other 4-strand flat braid, or at least not as much. 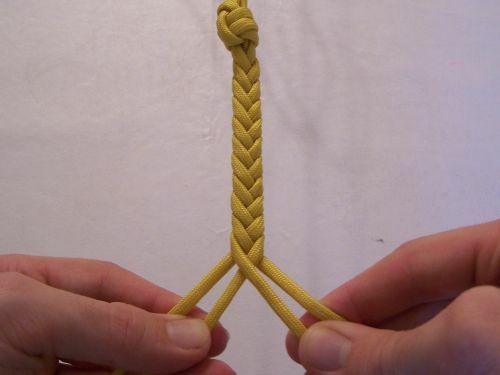 To start the braid, hold two strands in each hand. 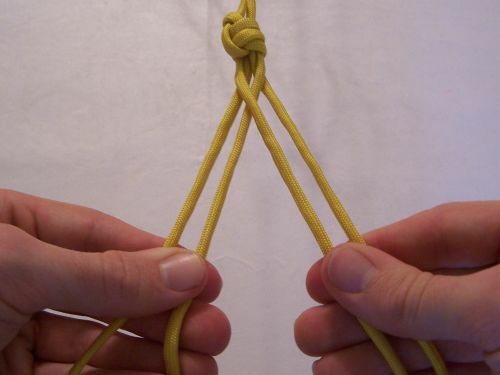 Take the outside right-hand strand, pass it over the inside right-hand strand, and grab it with the left hand. 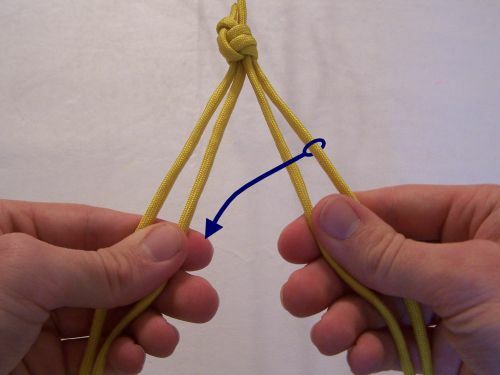 Keep it to the inside of the other left-hand strands, as shown by the blue arrow. 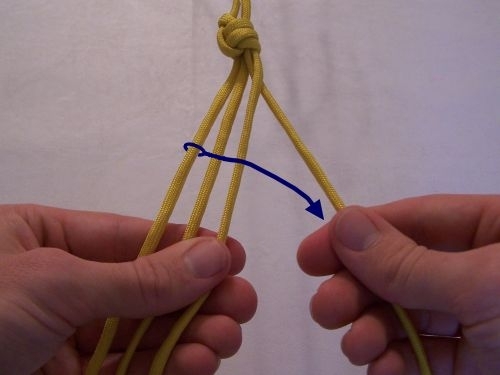 For the second step, take the outside left-hand strand, bring it over both of the other left-hand strands, and grab it with right hand as indicated by the arrow. Keep it inside of the other right-hand strand. 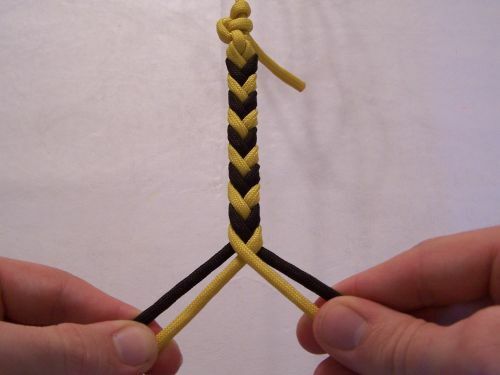 Here you can see the two steps completed, and they are repeated for the length of the braid. Here you can see what the braid looks like after several passes are completed. It resembles a 3-strand braid, but looks thicker on one side. I've included below a couple of two color patterns that work for this braid. To make a pattern, arrange the strands at the beginning they way they are shown at the the ends of the braids in the pictures. By beginning with a dark strand on the outside, and a light strand on the inside in both hands, a very nice chevron pattern is formed (this also works if the lights are on the outside and the darks on the inside). By beginning with all the light strands in one hand and all the dark strands in the other, the colors will alternate from side to side in the pattern shown above.